is our event page on Facebook - please do have a look and see if you would like to come along. 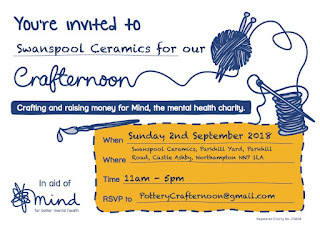 It is free to attend and have a look around the studio, have a cuppa and cake! 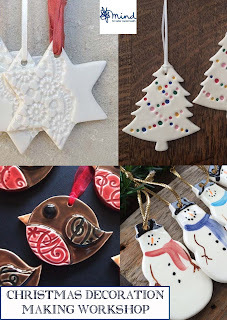 We will be running workshops throughout the day to make fabulous ceramic Christmas Decorations which we will then fire for you to collect/post. The cost for this is a suggested donation of £5 each.